Extending the cabin to create more space. The basis for this solution is a so-called crew cabin. This cabin variant is especially used in fire and rescue vehicles. Every truck manufacturer has different types of cabins and models, but it’s not always possible to obtain a crew cab. We have the possibility to develop this type of cabin and produce it in series. The starting point for this adjustment is a standard ex-factory vehicle, where the cabin is lengthened or provided with a second cabin. On the inside, the ex-factory appearance is realised by custom-made panels which come with the original upholstery material. We look forward to discussing the possibilities with you. Lengthening the entire cabin to create more space. The so-called crew cabin forms the basis for this adjustment. The problem, particularly with fire brigades, is that there is too little space in the cabin to be able to sit with the full equipment, including an oxygen cylinder. The solution is to extend the cabin by 150, 300 or 475 mm. In addition to extending the cabin, we also perform work on the chassis. 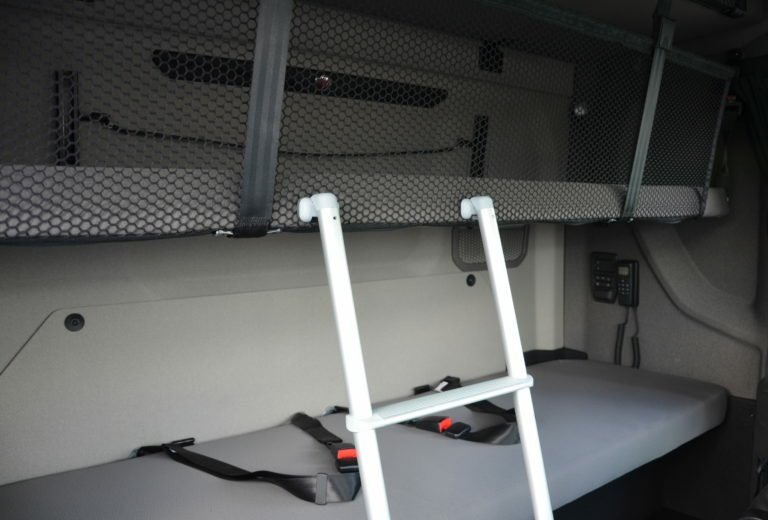 This allows the body to be fitted more quickly on the truck. There are of course countless possibilities to specifically customise the cabin to the customer’s wishes. This is the perfect solution to improve the driving position of the driver and the co-driver in a day cabin. We can extend the cabin to the height of the seats so that more space is created in the interior. A recess is made in the rear wall to then make an extension to the cabin wall. The whole structure is given the necessary reinforcement, and the interior is finished off with the original fabric or a matching one. Of course, the exterior is also given a sleek look and sprayed in the colour of the cabin.